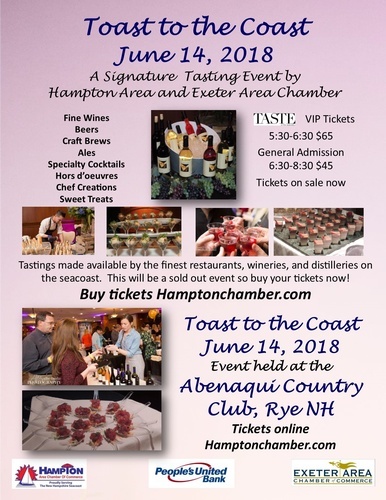 A signature tasting event by Hampton Area and Exeter Area Chambers of Commerce. Tastings are made available by some of the Seacoast's finest restaurants, wineries, and distilleries! Buy your tickets now! Thursday, June 14, 2018, 5:30 - 8:30 p.m.